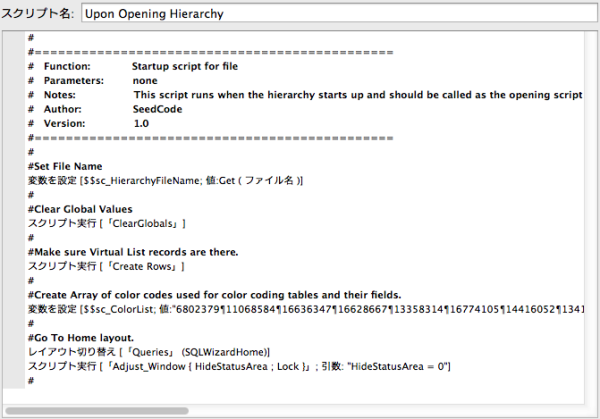 # Notes: This script runs when the hierarchy starts up and should be called as the opening script in file options. #Make sure Virtual List records are there. #Create Array of color codes used for color coding tables and their fields. # Function: Utility script for clearing virtual list arrays and the global fields that set the number of rows to show in the respective portals. Utility script for clearing virtual list arrays and the global fields that set the number of rows to show in the respective portals. 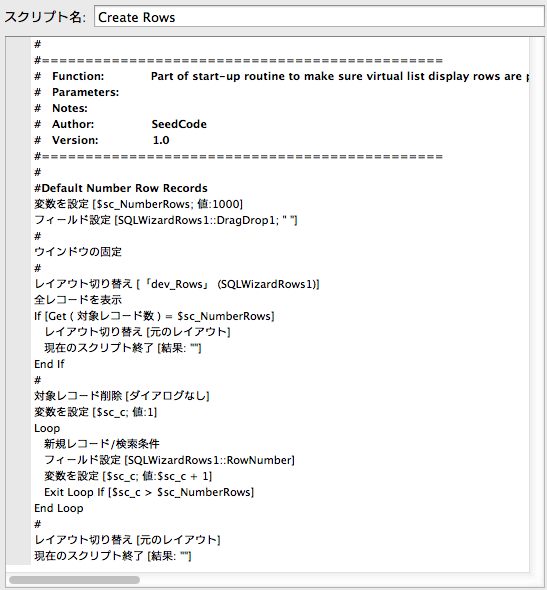 ￼# Function: Part of start-up routine to make sure virtual list display rows are populated to the specified number. 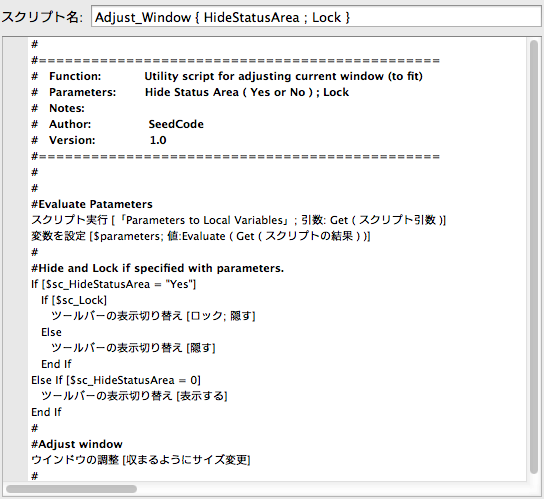 #Hide and Lock if specified with parameters. 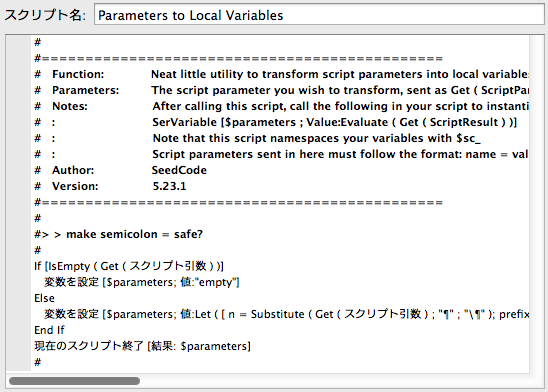 ￼# Function: Neat little utility to transform script parameters into local variables of the same names. : Script parameters sent in here must follow the format: name = value ; name2 = value 2 with even spaces around =s and ;s.
#> > make semicolon = safe? "Let ( [ " & prefix & string & "\" ] ; \"\" )"
"Label1 = Value1 ; Label2 = Value2"